Few minute’s back I posted a posted on Apple released Macbook Pro and iPad 5 but on that time that new was rumor but now rumor is in reality. Apple brought out on Tuesday at its iPad media event in San Francisco a new line of Macbook pro computers. 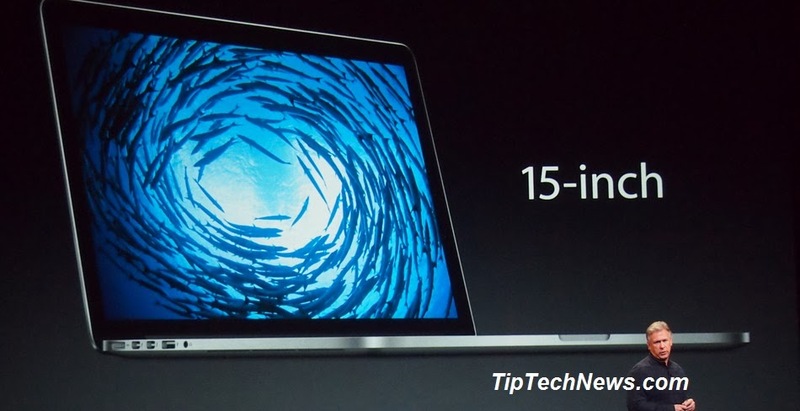 Apple is naming it "the best [MacBook] lineup we've ever had." According to CEO Tim Cook told to participant in this event. "We've been really hard at work with the Mac,"
In new Macbook Pro there is 13-inch retina, which begins shipping on Tuesday and priced at $1299. This Macbook Pro supported by powerful Intel Haswell chip fourth-generation and its talk time up-to 9 hours . Furthermore, another 15-inch MacBook Pro is powered by the the Intel Crystalwell chip for $1999.